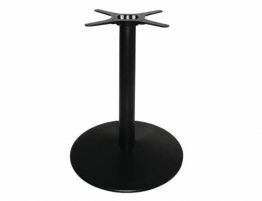 The Metz Cast Iron Square Table Base features an unorthodox square design, and it pulls it off marvelously. 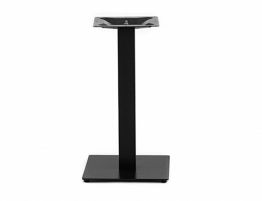 The Metz table base features square edges, including the column, that is made for commercial use which has perfect stability in its construction. 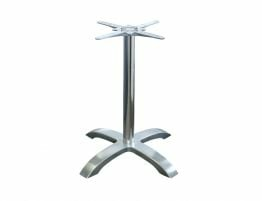 The Metz is constructed with both indoor and outdoor use in mind and can be utilized in any setting, classic, modern or vintage. 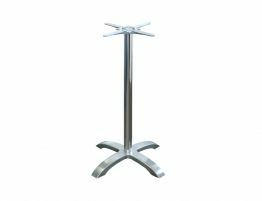 The Metz commercial table base is compatible with an table top size up to 800mm diameter. 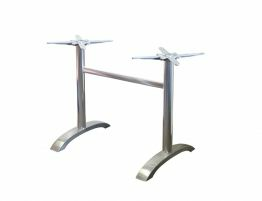 You can pair it with your existing table tops or check out our extensive range of compatible table tops featured here. 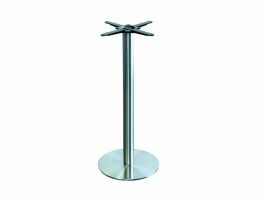 The Metz offers a subtle superior, attractive & versatile style perfect for that French cafe, Italian restaurant, pizzeria, sandwich shop, deli or even a five star Michelin rated restaurant. The Metz will always look great over time and is truly built to last and as they are sold separately from the table tops, you have endless options as to how you create your own customized dining area design. 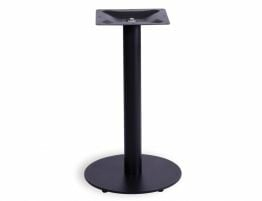 Likewise, tables tops can really take a beating from the heat, the wear & tear, the washing, so if your table tops wear out, you can keep these bases and replace the table tops as needed.